FK chats to Bec of Byron Bay based label Kambamboo who will be debuting at the upcoming Brisbane Markets! 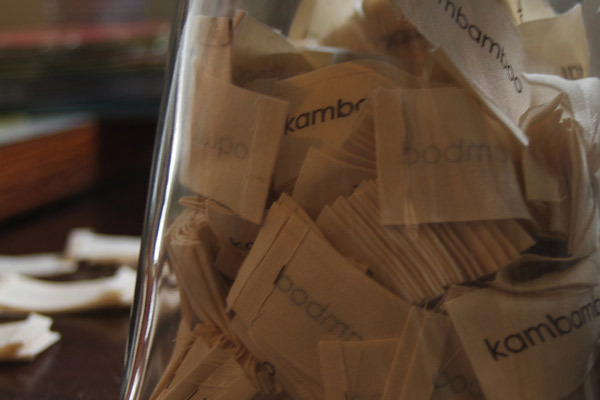 Tell us about your label Kambamboo and what the concept is behind it? 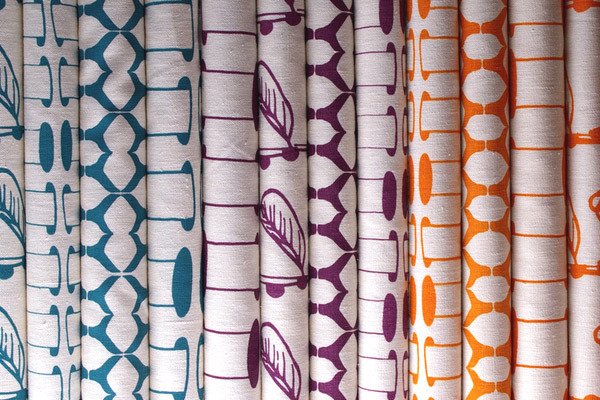 Kambamboo was born out of a simple idea – to bring the colours and rhythms we see and feel in the world around us to life with a range of fabrics and wares. Our first collection is inspired by our local plant, marine and bird life. We work from our home studio where we create our designs by painting with gouache or drawing by hand. When a design is ready we work closely with our local printers who transfer our work onto large screens ready for hand printing. This process allows us to maintain a certain kind of rawness. 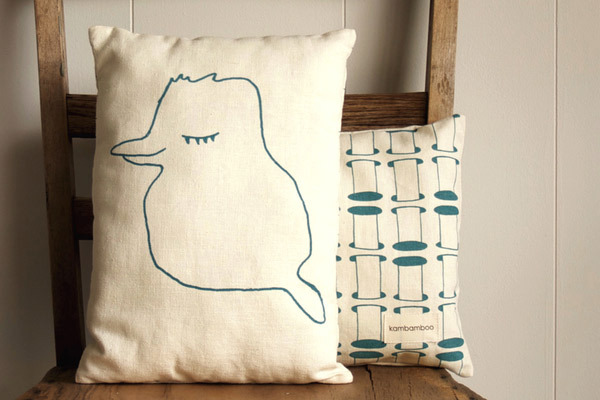 Kambamboo brings together our love of design, illustration, art and textiles. Who are the team behind Kambamboo and what are their roles? 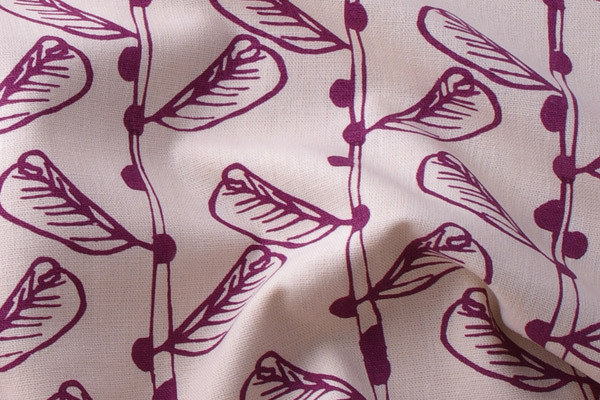 Cameron and I are very lucky to work with a great team of local artisans who print, cut and sew our fabrics. It’s been an amazing experience working closely with such a talented bunch. 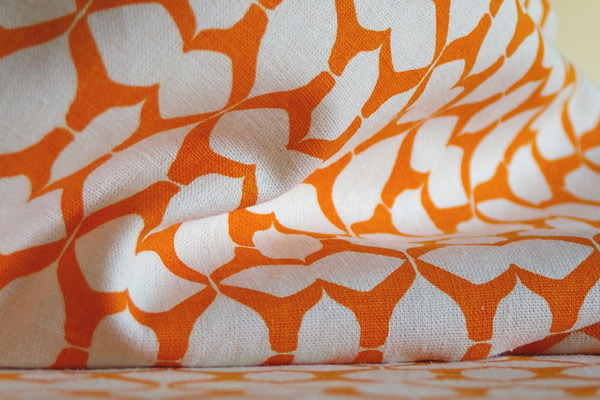 Our fabrics are printed and heat set by the lovely folk at Anne Leon Designs in Byron Bay before we bundle them up to visit our fabric cutter just outside of Mullumbimby. We have three wonderful sewers Helena, Bones and Bek who work their magic on the machines in our studio and also from their own homes. Cameron takes care of any photography and when we’re not together working on designs I spend my time in the studio managing the team, dreaming up new ideas, packing orders and answering emails. The shapes, colours and rhythms of trees, plants and animals inspire me. I also like finding new ways to represent the feeling of something – not necessarily the way it looks but the way it feels to touch or the way it interacts with other elements. I have always loved water and in our next collection we have a new design called ‘Water Breeze’ that captures the feeling of water catching the wind as it comes down a waterfall. Last year we went on our honeymoon and one of the places we visited was Yosemite National Park in California. The feeling of the enormous tress and powerful waterfalls has stayed with me ever since. I recently started a Pinterest page which has been a fantastic way to slowly collect lots of little moments of colour and rhythm inspiration. What is your creative workspace like, and what inspires you about living in Byron Bay? The studio looks out on our garden and you can hear the sound of the ocean nearby. We have a huge table that Cameron put together using kitchen bench tops and shelving units which is perfect as it holds all of our fabric rolls underneath and allows for several people to work at the table together. We also have sewing machines, an overlocker, admin desk and packing station. We found a great old art trolley on the side of the road that we use to store boxes of our materials. For me the most inspiring thing about living and working in Byron Bay is the ocean. Even if it’s raining I can go down the beach and stare out to sea when I need to just stop and re-boot. Is it right in saying you have taken a sustainable approach to Kambamboo? What are some of the challenges in doing so? We don’t claim to be 100% sustainable, organic or ‘green’ but we are focused on making good choices about what materials we use and how we use them. 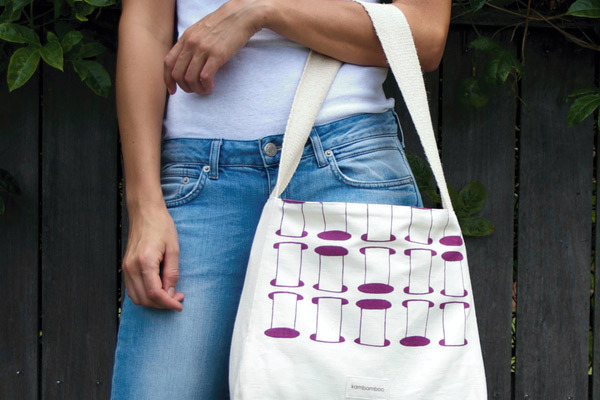 We made a conscious decision when we started Kambamboo to design products that are sustainable and functional and to use materials that are environmentally friendly wherever possible. 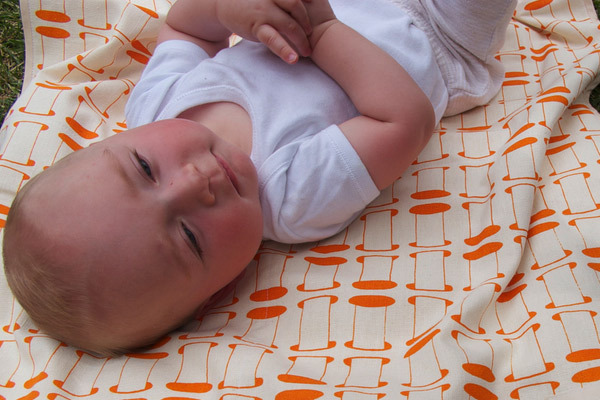 It’s not enough that a material is natural or recycled it has to be comfortable and durable. 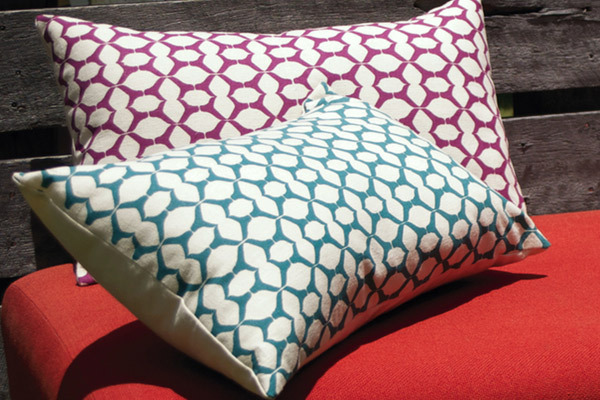 Sustainable materials often cost more and can be challenging to source but we’ve found that there is a lot of focus on sustainable design in Australia so more and more suppliers are offering sustainable and eco friendly products. What can we expect to see from Kambamboo at the upcoming Brisbane, Finders Keepers? 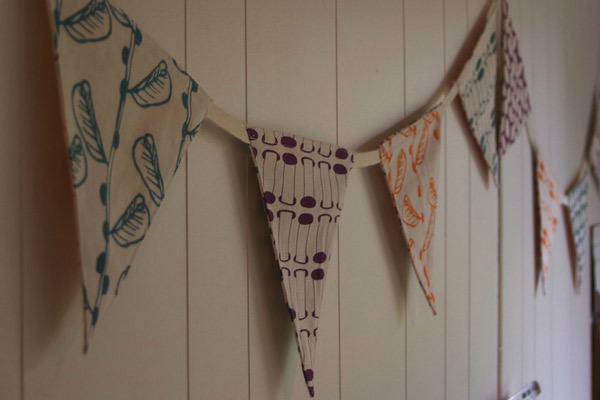 We will be launching our second collection in time for the Brisbane markets which includes two new prints, three new colour-ways and a whole new range of products including table linen and homewares. 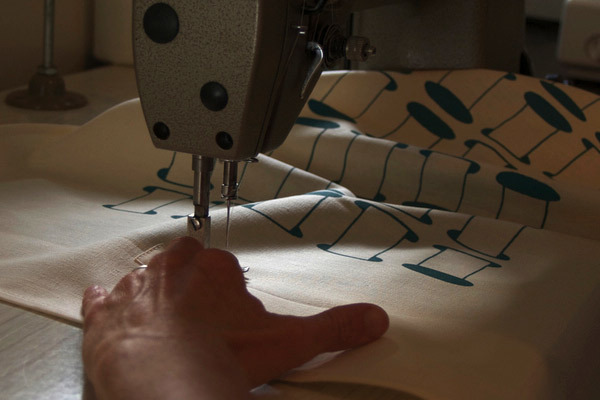 We will have pre cut fabric panels for sale as well as tea towels, our current baby range, kids pillows, bags and cushions and a few winter pieces including limited edition hot water bottle covers made especially for Finders Keepers. The first pillow is unbelievably great by the way!